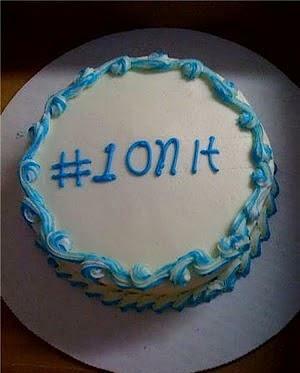 We get it – decorating a cake isn’t easy. The crumb coat, the buttercream, the sprinkles, the fondant; there’s a whole bunch of stuff for you to consider, and that’s before you even THINK about icing the message on the top. However, even if they look a bit wonky (or taste a bit funky), most of our homemade culinary creations at least get to the point where they’re presentable – which is why we couldn’t believe our eyes (once we finished crying tears of laughter out of them) when we saw THESE. 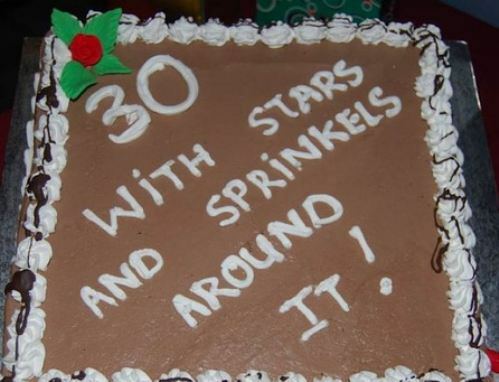 These 25 cakes, mostly created by professionals, have suffered from quite a critical case of crossed wires, and the resulting confusion has caused them to be some of the worst (and funniest) birthday, leaving and wedding cakes we’ve ever come across – and in the face of this lot, even our slightly dodgy Victoria sponge doesn’t look half bad! Let’s take a look and see where the struggles started, shall we? Poor Matt… we wonder if all was forgiven after this hilarious slip up? Well, sorry, you don’t get any. Nope, none of them for you either. 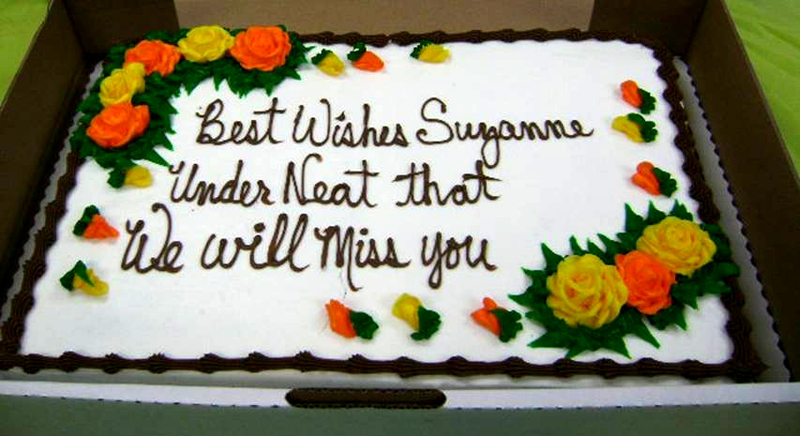 But not enough to buy you a cake that reads correctly. We hope she still said yes? No sparks for this unlucky purchaser. It could happen to any of us, right? We think someone MIGHT have failed their languages GCSE. If you cut off the bottom half, it’s technically correct. The heartwarming sentiment isn’t really the same in kind-of-gross blood red. The sprinkles are halfway there, we suppose? Fingers crossed Ashlee’s got a sense of humour! She probably has two eyes, no? Reeeeeally starting to hope this is some kind of in-joke. Yeah, even first birthdays don’t get special treatment around here. 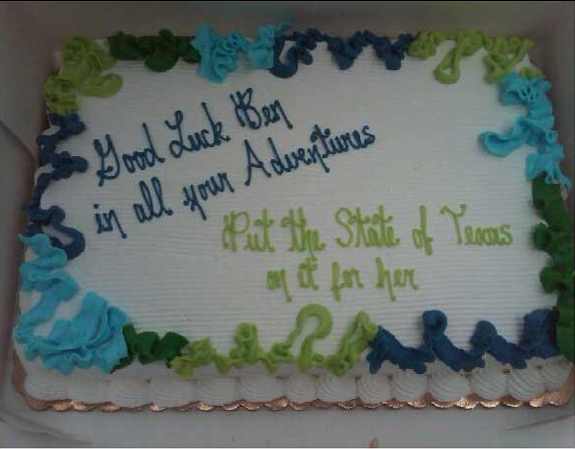 Yes, that IS the URL for the image they wanted on the cake. 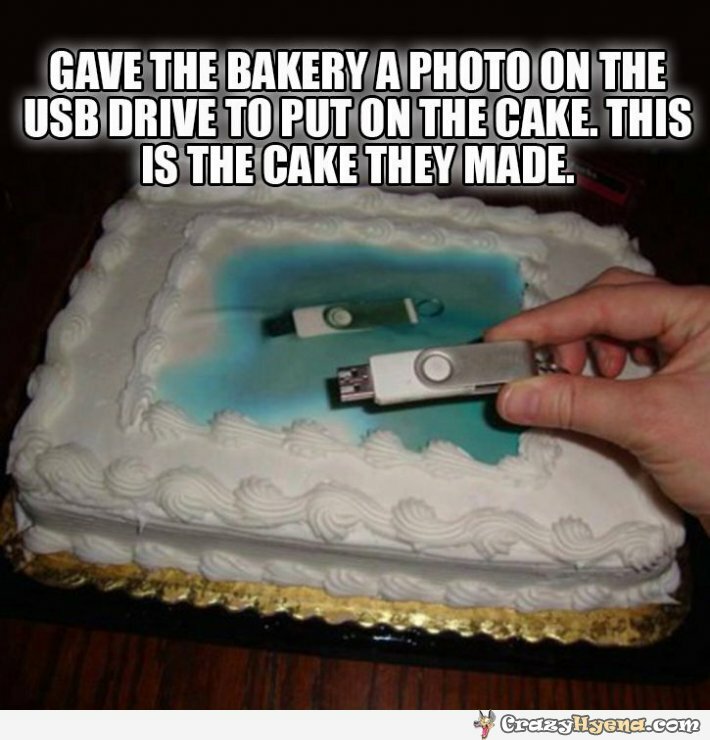 Happy birthday, beloved USB stick! Who knows what would happen if you asked for a hand. Image: Reddit Graduation CAT. Obviously. They’re wishing her luck, honest! 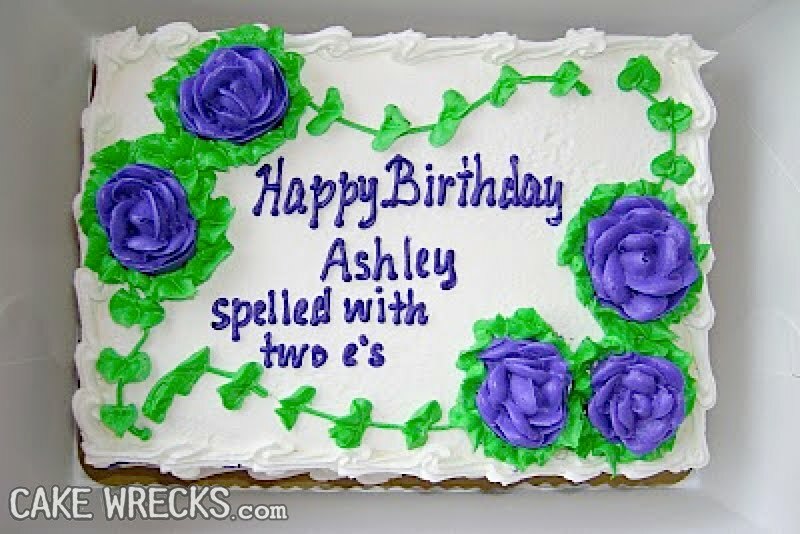 Erm, we don’t imagine this was a very happy birthday after all. 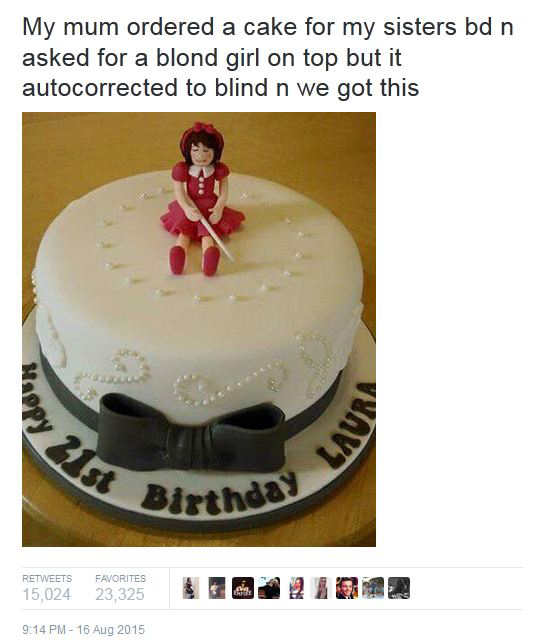 Ever been given (or made) a cake that went hilariously wrong? Show us a picture and we’ll add it to our round-up – may the most ridiculous sponges win!